Image: Duccio, di Buoninsegna, d. 1319. 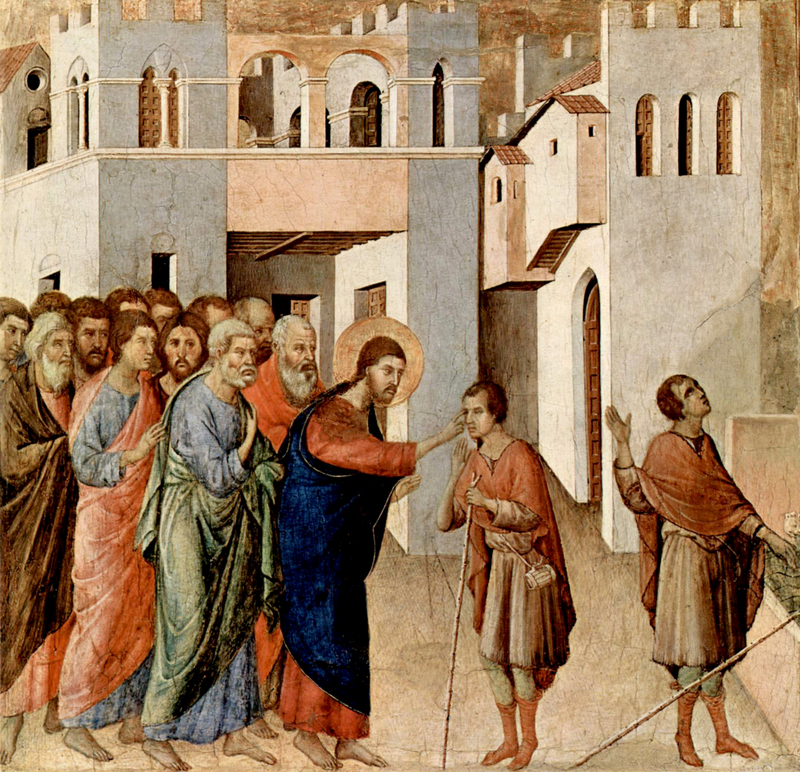 Christ Healing the Blind Man, from Art in the Christian Tradition, a project of the Vanderbilt Divinity Library, Nashville, TN. http://diglib.library.vanderbilt.edu/act-imagelink.pl?RC=49262 [retrieved October 24, 2018]. Original source: http://www.yorckproject.de.